Click here to find out the temperature in Bermuda today and view a 5-day forecast. 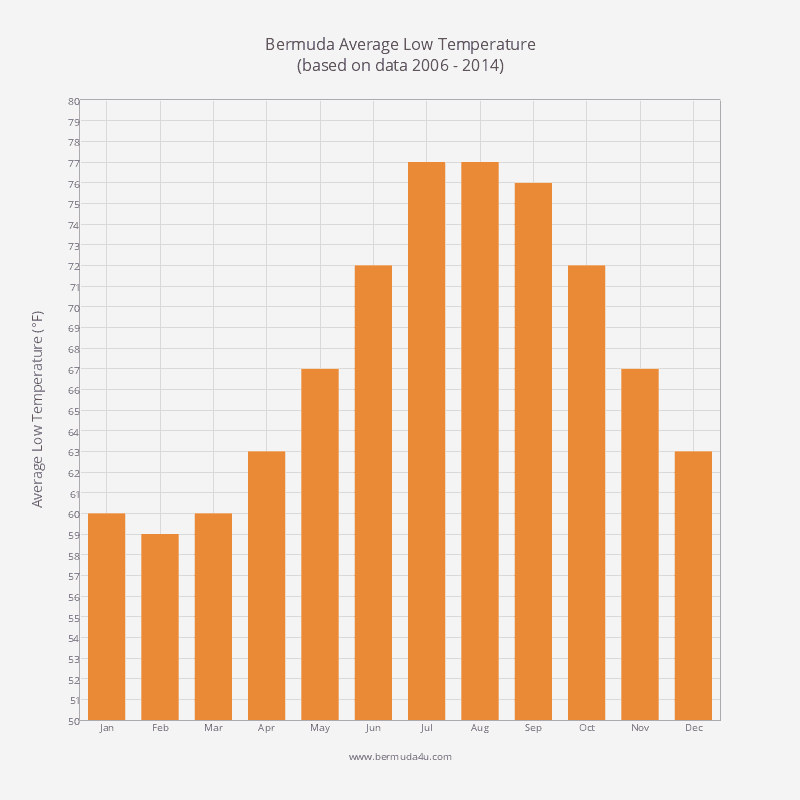 Bermuda enjoys a sub-tropical climate. The average annual high temperature is 76 F and the average annual low temperature is 68 F.
The hottest months are May to November. 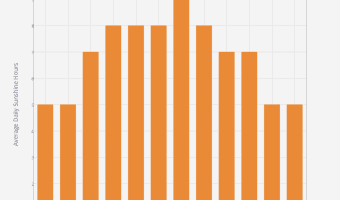 The average high temperature is 80 F and the average low 72 F. Hotel rates are most expensive during this period. The coldest months are January to March. 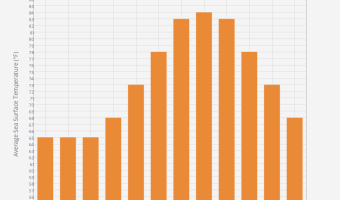 The average high temperature is 68 F and the average low temperature 60 F. Hotels typically offer heavily discounted rates during this off-season. The lowest temperature on record is 44 F, recorded in February 1950. The highest is 93 F, in August 1989. The graphs and tables below show average monthly high, low, and mean temperatures from 2006 to present. 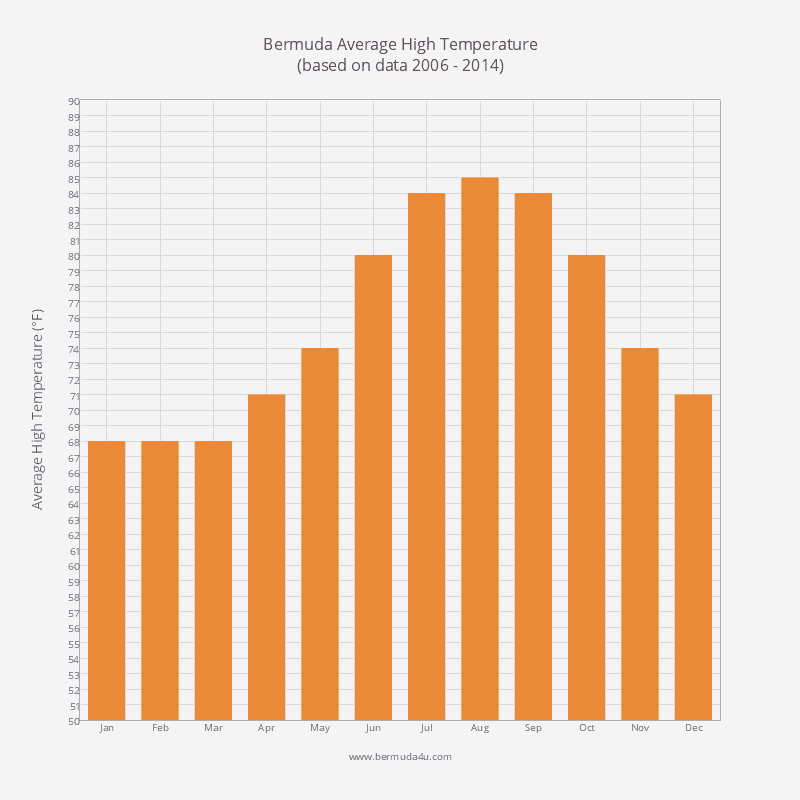 Average high temperatures in Bermuda throughout the year are shown in the graph and table below. Average low temperatures throughout the year are shown the graph and table below. 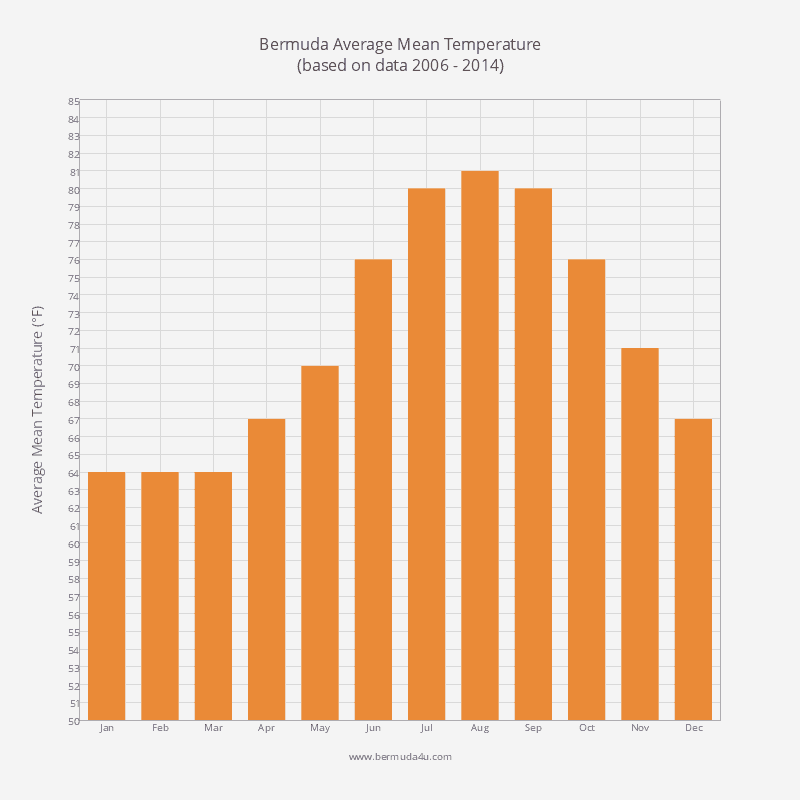 Mean temperatures in Bermuda throughout the year are shown below. Find out how many hours of sunshine you are likely to experience each day.